Optimizing your SketchUp workflow. Removing the person and splash screen on startup. 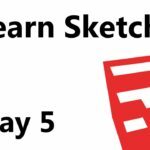 SketchUp tutorial on advanced material management. How to place a SketchUp material on a curve using projected materials. How to save materials in your default folders. How to show cursor crosshairs in SketchUp. How to remove unused materials. Just watch and it will all make sense.